It seems crazy to be thinking about back-to-school when it feels like summer just started, but that time of year is going to be here before we know it! If you want to help your children’s teachers start the year off on the right, I recommend treating them to a mani-pedi or a massage. 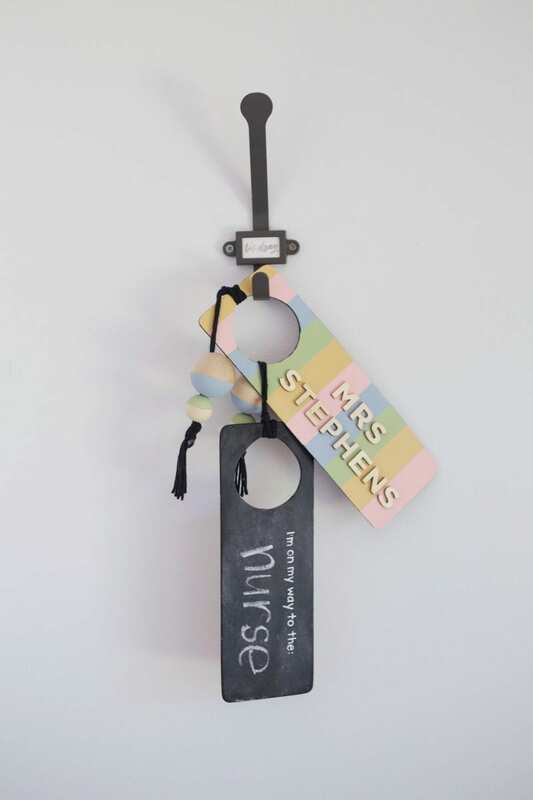 And pair the gift certificate with a handmade something special that they can actually use in their classroom. 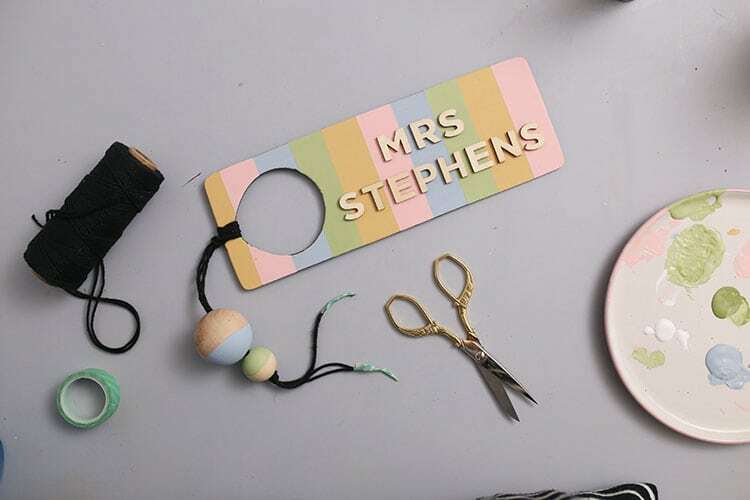 For my Michael’s Makers project this month in partnership with Michael’s, I’m showing you how to make a set of super easy, affordable chalkboard hall passes. 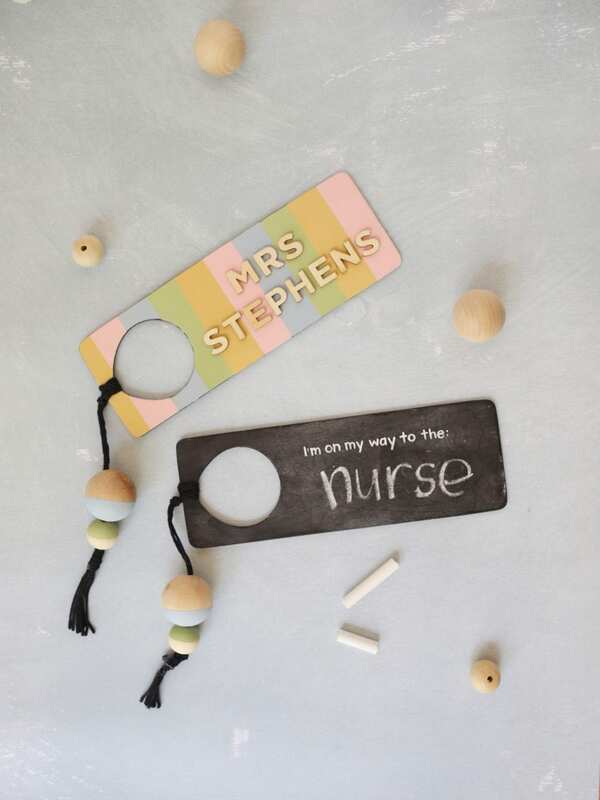 And speaking of Michaels… Calling all teachers! 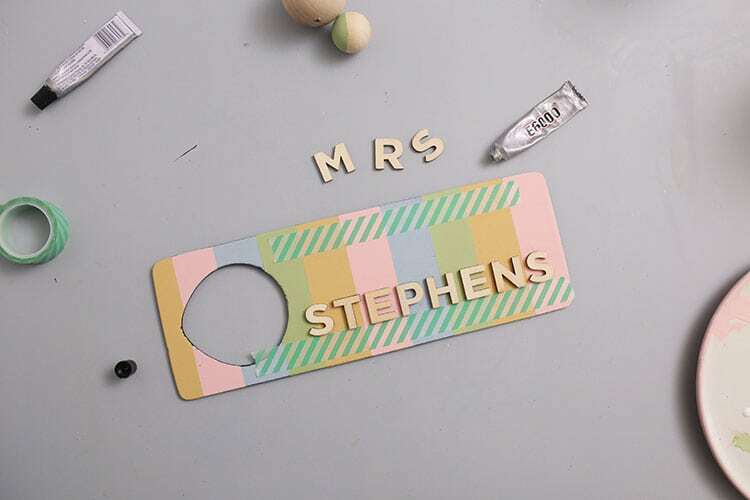 Take 15% off your entire order at Michaels with your teacher discount! Short on time? Use the new ‘Buy Online Pick-Up In-Store’ feature! Need a lot of something? You can also use your discount on all BULK orders! 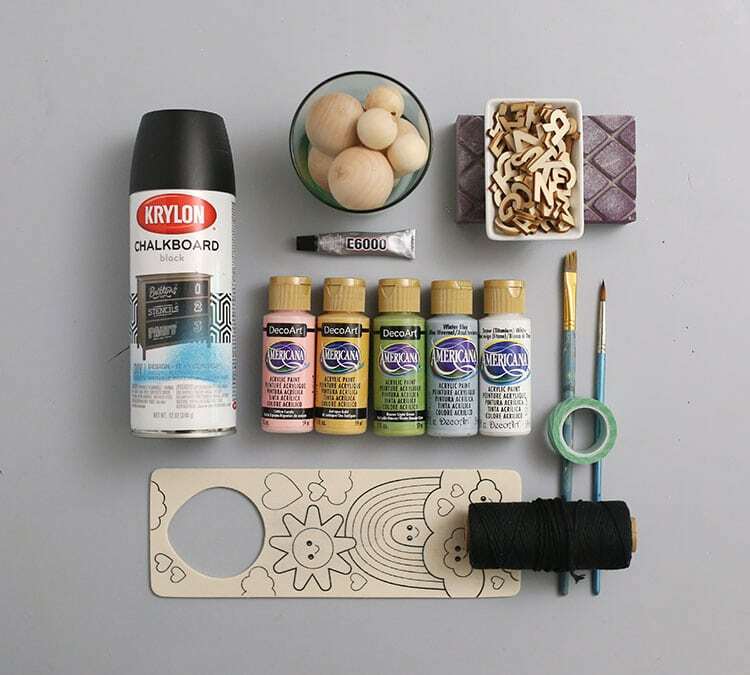 Michaels teacher supplies lets you MAKE this year’s classroom the best yet! 1. 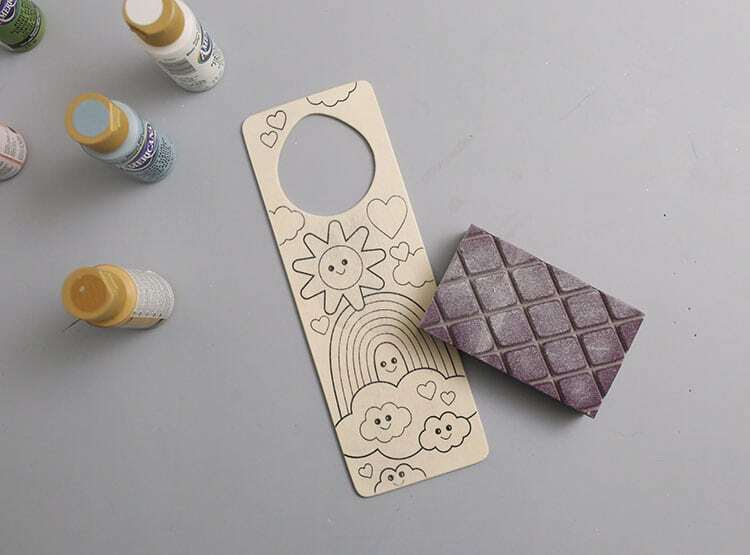 Lightly sand both sides and the edges of the door hanger to smooth it out and make it easier to paint. Wipe off any dust with a clean, dry cloth. 2. 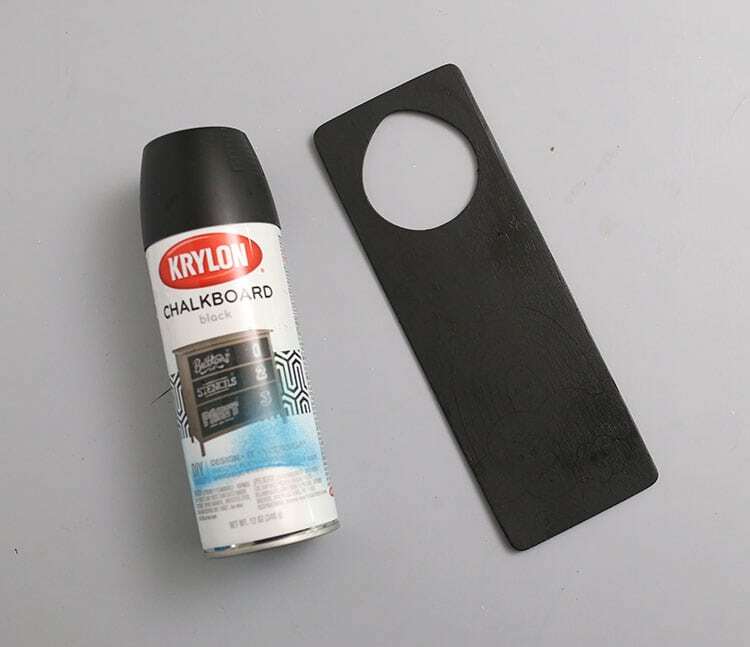 Spray the printed side of the door hanger with a few coats of chalkboard paint, and set it aside to dry. It’s okay if the design shows through a little bit. It will be less obvious once there’s writing on it. 3. 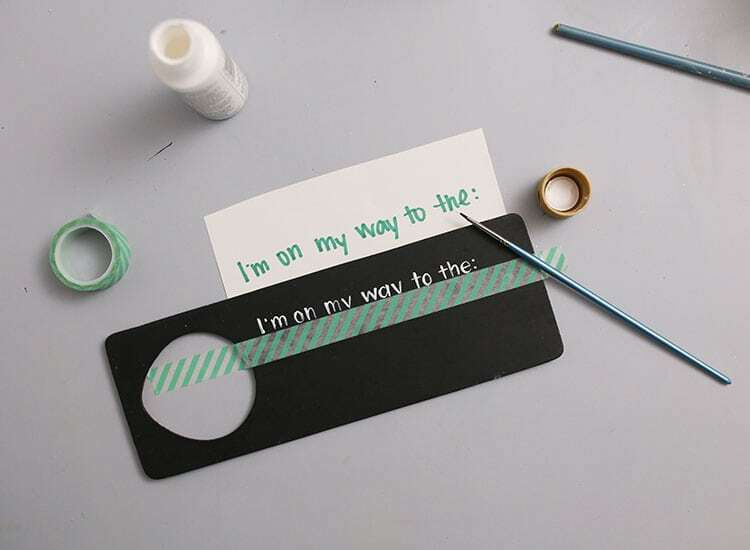 Use a piece of tape to make a straight line, and use white acrylic paint to write the phrase seen above. Tip: Write it out on a piece paper first to get the size and spacing correct. 4. 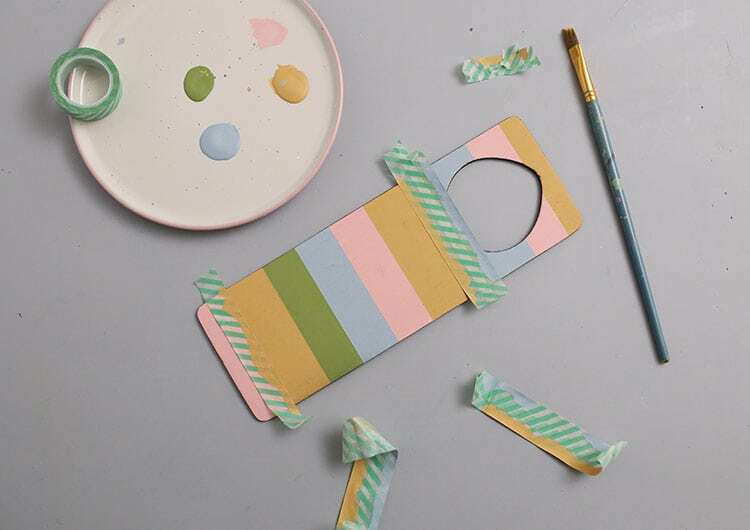 Tape off 1″ stripes on the other side of the hanger, and paint them in a rainbow pattern with a couple coats of acrylic paint. 5. Tape down top and bottom guides to help keep the letters straight, and then glue wooden letters with the teacher’s name. Tip: Make sure the paint is very dry before you tape over it, or it can peel off. 6. 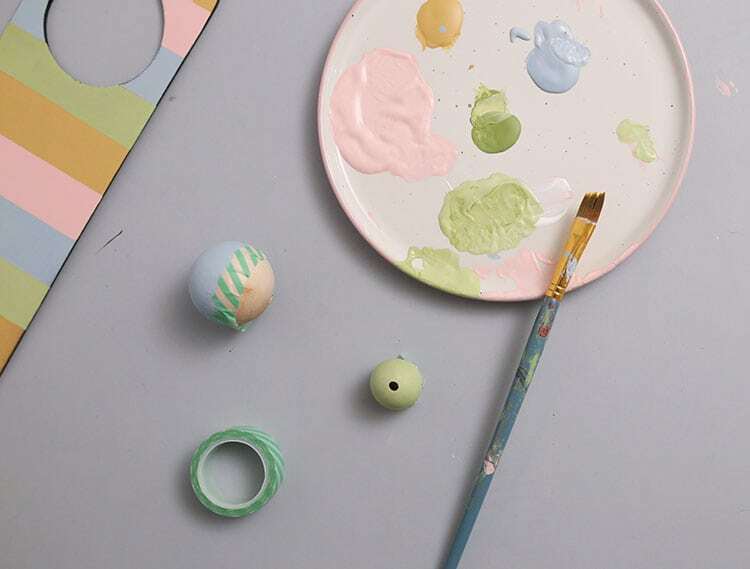 Tape around wooden beads of varying sizes, and paint one side of each with one of the colors from the rainbow. 7. Wrap black yarn or twine around the handle a few times, and then thread the beads. Tie a double knot near the end to keep the beads from falling off. You can tie a tassel at the end for some extra fullness and flair. Tip: Wrap a bit of tape around the ends of the twine to thread it through the beads. Really cute. Thanks for sharing this chalkboard tutorial. The explanation is so clear. Love this DIY tutorial. Love the colors you picked – so cute! And the chalkboard one is genius.